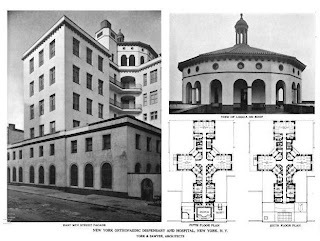 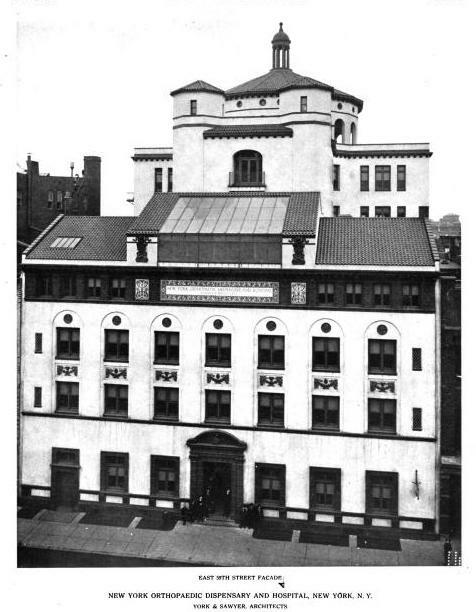 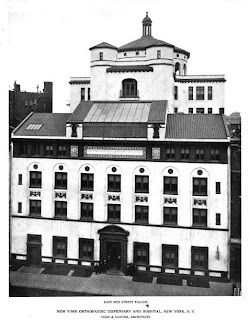 The New York Orthopedic Dispensary and Hospital designed by York & Sawyer c. 1915 on East 59th Street in New York City. 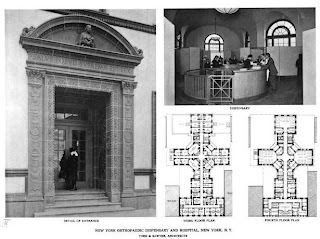 Founded in 1866 following the aftermath of the Civil War, the hospital was intended to help "in the treatment of crippled children and adults." Click HERE and HERE for more on the New York Orthopedic Dispensary and Hospital. 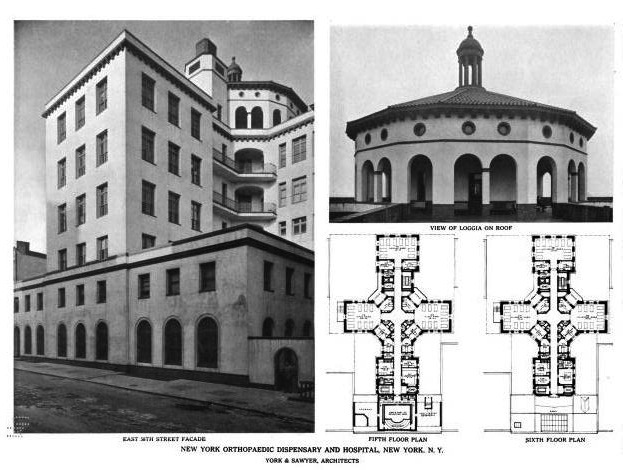 The hospital was merged with Columbia Presbyterian in the 1950s and the building was later demolished.